I use Credit expert to monitor all my financials, and have alerts set up if there is any fraudulent or suspicious activity on any of my accounts and this gives me great peace of mind. I pay £14.99 per month and i get to use all the services, it also gives me comparisons to the credit i already have allowing me to potentially consolidate which i am looking into now, getting a unsecured loan which will clear my overdraft and credit cards and be a more manageable payment monthly for me so i will be better off by a few hundred pound each month which is a great help. Helps with loans, credit cards and comparisons let’s you know the chance of getting something. 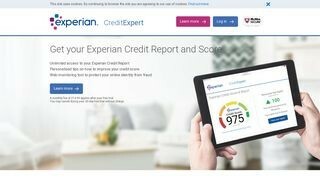 Creditexpert is a great tool for me to see the latest deals and comparisons on my utilities and credit cards, allows me to get cheaper bills and see how i can save. Security notifies me when anything strange happens which is piece of mind, well worth the monthly fee.